As your Real Estate agent I offer the highest quality of performance and professionalism while maintaining a fun and friendly attitude. A native of Washington State, I moved to Southern California in 1984 to attend the University of California San Diego where I received a B.A. in Communication. My prior experience as a small business owner coupled with my education have made me a skilled negotiator, communicator, and customer service expert. My clients consistenly tell me how much they appreciate that I am able to identify their needs and produce the desired results. Backed by the tremendous resources and support of Coldwell Banker I am dedicated to making your home buying or selling experience positive and satisfying. I don’t just sell homes. I am an advocate for my clients. I make sure that their interests are being protected. I’m not in it for a quick sale. I’m here for the long haul, even after the close of escrow, to answer any questions you might have later. My top priority is making sure that you have the information that you need to make informed real estate decisions. I build a foundation of trust with honesty, reliability, and dedication to each client. 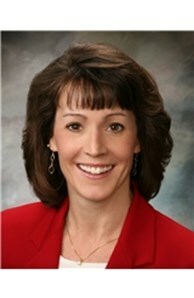 Please visit my website www.angiesimpson.com to search for your dream home, and to find useful buying and selling tips.